Follow these four simple steps to give whatever you're hanging to the wall—a towel rack, photo ledge, or gilded mirror—a little extra support. So you want to hang something heavier than the average photo frame from your drywall. Whether you’re putting in a nail to support a towel rack laden with damp bath towels, a paper towel holder that gets regular use, or even a heavy mirror, you’ll certainly want it to stay there and not suddenly rip through the drywall under the weight of whatever it supports. Unfortunately, that’s the way the drywall crumbles—without proper reinforcement. Fortunately, there are a variety of options for securing a rack (or what have you) to the wall, and one of the most popular ways involves the drywall anchor. 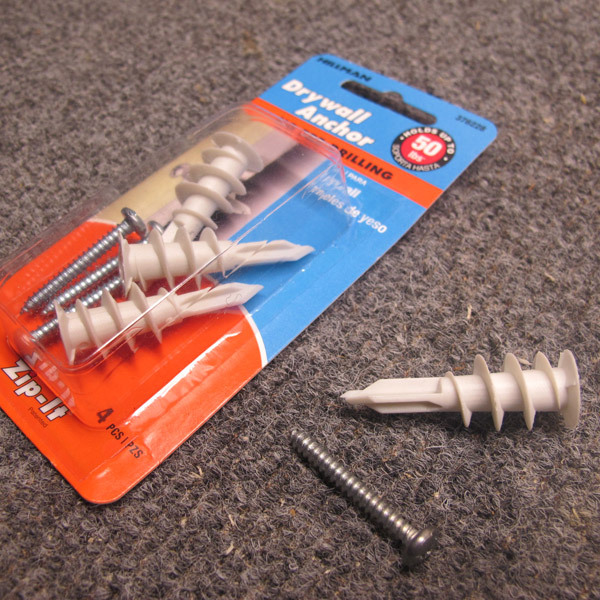 These pre-screw installments are designed to grip the brittle drywall and help hold your fastener in place. Follow this illustrated guide for how to use drywall anchors properly in your next project, and you can rest easy knowing that your hard work will hold up. 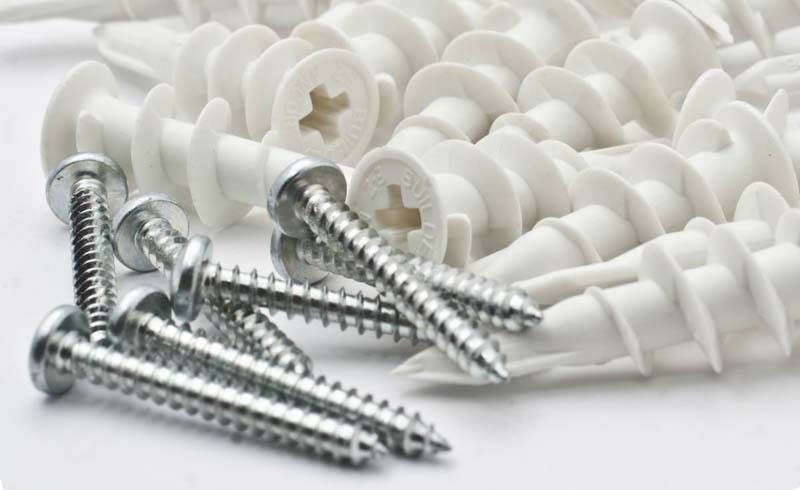 STEP 1: Choose the right drywall anchor. 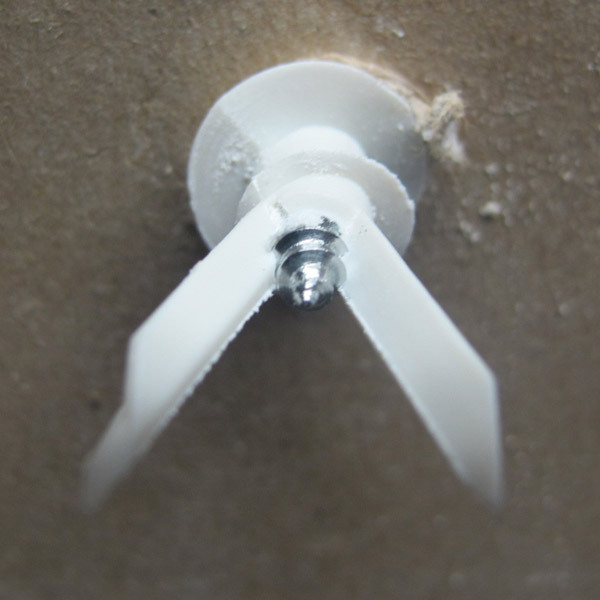 Make sure that your drywall anchor is rated for the amount of weight you’ll be putting on this fixture and appropriate for wherever it’s installed (walls versus ceiling). In this demonstration of how to use drywall anchors, we’re working with a threaded or “self-drilling” drywall anchor that holds up to 50 lbs. A threaded drywall anchor is generally a good bet: It goes into walls without any pre-drilling and comes in strengths ranging from 25 to 75 lbs, which is enough for most light-duty to moderate-duty needs. 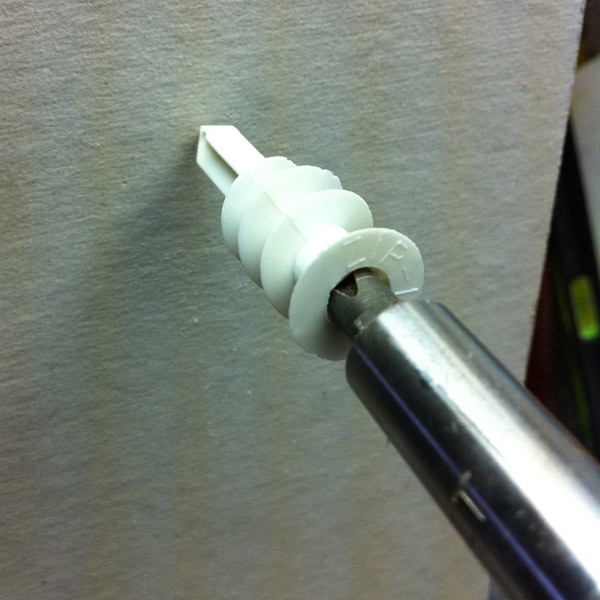 STEP 2: Twist the self-drilling wall anchor into drywall with moderate pressure. 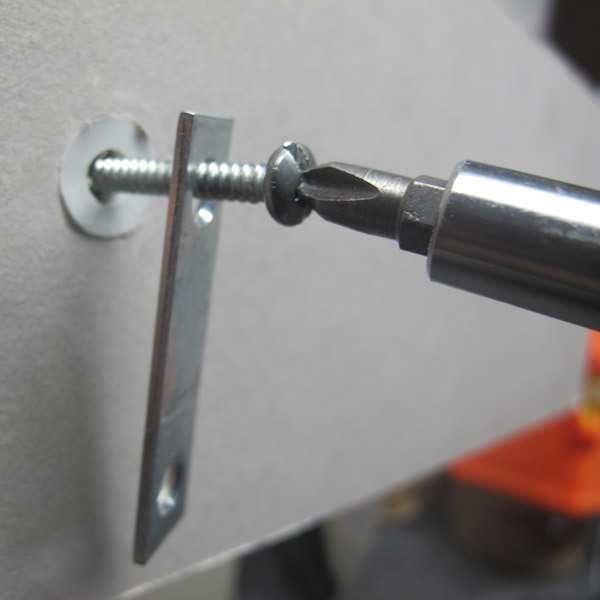 You only need to apply moderate pressure with a screwdriver to install threaded drywall anchors, as their points will self-drill into the wall. When the wide threads start to grab on, make sure you keep applying pressure so the anchor doesn’t simply spin in the hole and dig out the drywall. STEP 3: Turn the drywall anchor in until the lip is flush with the wall. 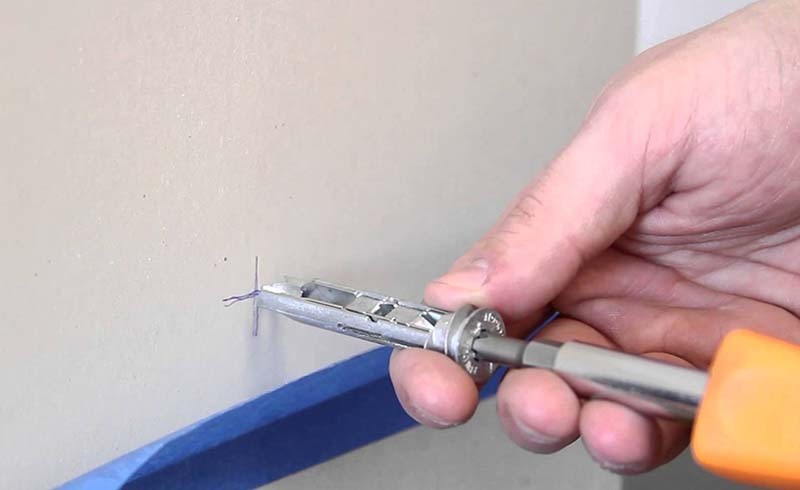 Continue with the same amount of pressure until the drywall anchor is completely in the wall (but careful not to tighten so much so that it actually becomes inset). 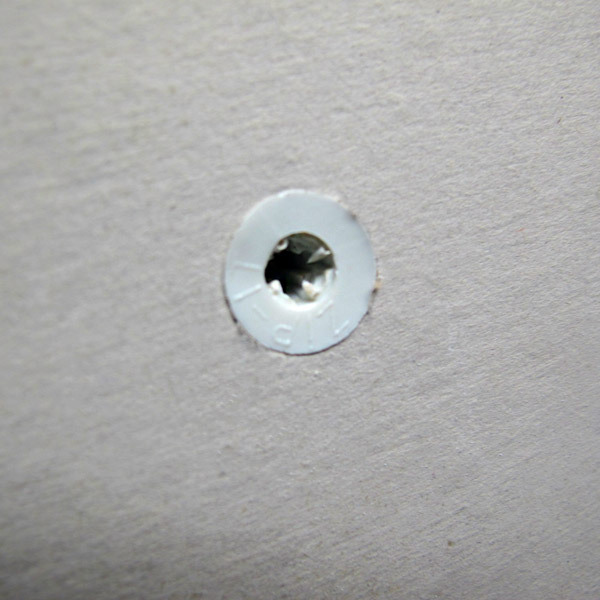 STEP 4: Attach your rack or shelf to the wall by screwing into the drywall anchor. Here’s what it looks like behind your wall. 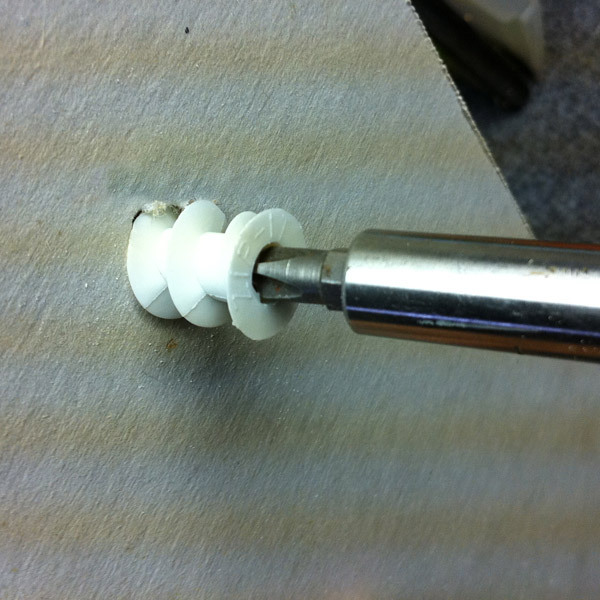 The wide threads help the anchor grab on, and, when the screw goes in, it pops the barbs out for added power.